Over on the Alibaba business marketplace website orders have starting to be placed for set-top boxes and TV sticks that are equipped with the Rockchip RK3288 processor. However if you’re not in the market to purchase quantities of 500 units or more you might have to be patient and wait just a little longer for vendors to receive their shipments and start selling them more locally. The new TV stick pictured above measures just 4.3 x 1.6 x 0.5″ in size and is equipped with a USB port at one end and a HDMI connector which plugs into HDTV on the other. The TV stick runs the latest Google Android 4.4 KitKat operating system and is equipped with Rockchip’s 28nm ARM Cortex-A17 processor supported by 2GB of RAM. Together with 8GB of built-in storage for the operating system and your applications of choice which can be downloaded from the Google Play Store. The new TV stick also includes a microSD card slot that allows you to expand its on-board memory by adding an additional 32GB. 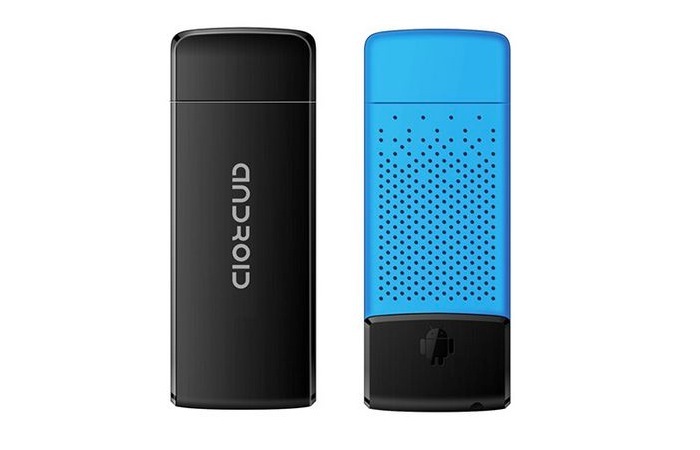 Other features include 802.11ac WiFi, Bluetooth 4.0 connectivity and HDMI 1.4A support. Unfortunately no information on pricing or worldwide availability has been released as yet by vendors.